Get the Full StoryCheck out the fight card for the Saturday, December 3rd TUF 24 Finale in Las Vegas, Nevada. We re heading into the home stretch for 2016, and the first UFC show of December will be the season 24 finale of The Ultimate Fighter. 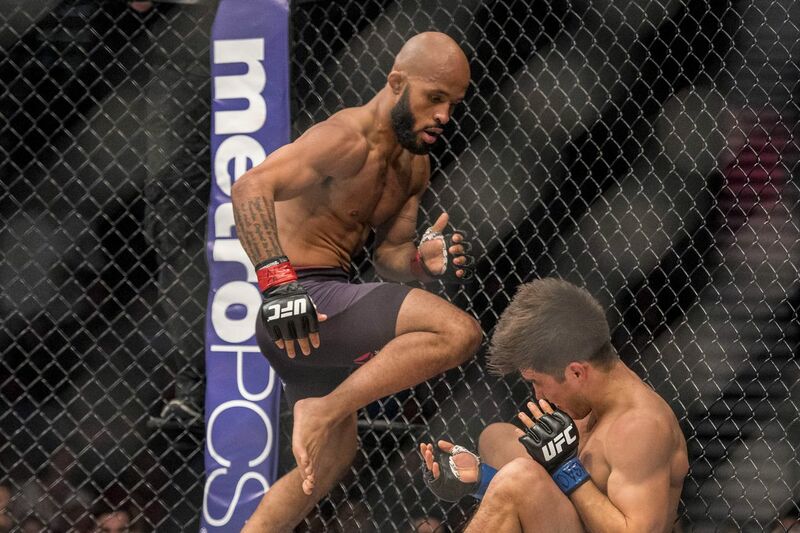 Flyweight champion Demetrious Johnson will be defending his title against the winner of TUF 24, which features 16 regional promotion champions from around the globe. We re down to Alexandre Pantoja vs. Kai Kara-France, Hiromasa Ogikubo vs. Adam Antolin, Ronaldo C ndido vs. Eric Shelton, and Tim Elliott vs. Matt Schnell. The show itself will resume in two weeks, but you ll know who s fighting Mighty Mouse fairly soon. The co-main event is a coaches matchup between Joseph Benavidez and Henry Cejudo, two outstanding fighters who are otherwise 0-3 against Demetrious Johnson, with each of them having suffered 1st round knockout losses to him. It s still a good fight, and it ll be a rare event where the fights with the top billing are both at 125 lbs. Some other notable action on the card includes Jake Ellenberger and Jorge Masvidal, TUF 22 winner Ryan Hall against Gray Maynard, and the return of Alexis Davis as she faces Sara McMann. Here s the full fight card for December 3rd s TUF 24 Finale at the Palms Casino Resort remember that place? . The bout order isn t set beyond the main and co-main event.